Coach Vince Lombardi is known as a maker of champions. His spirit, enthusiasm and commitment to excellence have touched countless lives – on and off the field. His ability to teach, motivate and inspire players helped turn the Green Bay Packers into the most dominating NFL team in the 1960s. 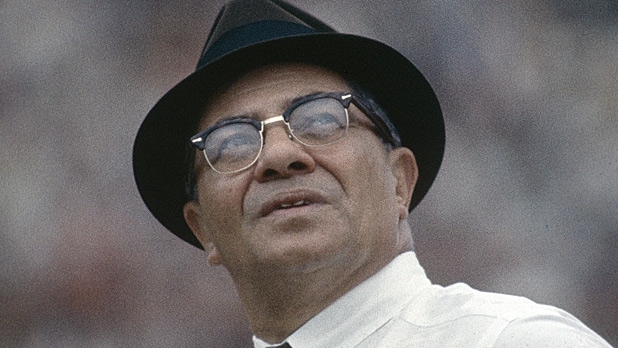 The oldest of five children, Vince Lombardi was born in Brooklyn, New York on June 11, 1913. Lombardi married Marie Planitz in 1940 (with whom he had two children, Vince Jr. and Susan). Lombardi joined the coaching staff at his alma mater, Fordham University, in 1947, and continued his coaching career at West Point in 1949. He developed a reputation for being a tireless workaholic, a trait that helped Lombardi land a position as assistant coach in the NFL for the New York Giants. During his five years with the Giants, Lombardi helped lead the Giants to five winning seasons, culminating with the league championship in 1956. “Leaders are made, they are not born. They are made by hard effort, the price which all of us must pay to achieve any goal that is worthwhile.” Lombardi’s drive, leadership and dedication made him a hot commodity in the coaching arena, and in January 1959, he accepted the head coaching position and signed a five-year contract with the Green Bay Packers. He conducted grueling training camps and demanded absolute dedication and effort from his players. His hard-edged style led the Packers to five NFL Championships, including victories in Super Bowl I and II, and solidified Lombardi’s status as the greatest football coach in history. Tragedy struck as Lombardi was diagnosed with an aggressive form of colon cancer in June 1970, and died a short ten weeks later on September 3, 1970 at the age of 57. Shortly after his death, Lombardi was inducted into the Pro Football Hall of Fame, as well as honored by the NFL by having his name adorn the trophy awarded to the Super Bowl champion each year.